I had the opportunity to meet with a state senator (I’m going to conceal his name for now) about a month ago. We talked about the issues regarding corruption and lies coming from the CDC that are negatively affecting those in Tennessee and the nation. Since then, I sent him an email with vital information about the CDC, their fraud, and lies covering up the MMR vaccine’s connection to autism, especially in African American males. Since the original meeting, I met with him again. Unfortunately, the senator hadn’t read the information, yet, but he is in the middle of election season he says. During our original meeting, we watched the video of Senator Posey reading the CDC confession from William Thompson, who confessed to committing fraud for the CDC through the research he and others conducted that claimed that autism was not caused by the MMR vaccine, given this confession it is evident that the answer is YES, vaccines like the MMR can lead to autism. At our second meeting when I brought additional information regarding CDC corruption and lies the senator’s response was that he “would sick the dogs on them” if the CDC is not doing the right thing. The senator also wants to make changes here at the state level with changes to vaccination policies, at the time he did not expound on what that meant. This discussion turned to the HHS director in Flint, MI as a comparison to the willingness of public health officials to lie to people, ultimately sacrificing lives for money. When I stated that this man, and others, who were supposed to be protecting the people were being charged with manslaughter, as they should be… The Senator quickly stated, “oh this is far worse!” Meaning the fact that the CDC, representing itself as an organization protecting the people, is acting in a way that is corrupt and worse than manslaughter. Now I know some may say, what could be worse than killing someone? Well, I would say torturing them before you kill them. Autism is a life-altering condition that can be painful, physically and mentally disabling to the person. The condition at its most severe will require lifelong care by the family members or healthcare assistant. In this state, there is no independence for the individual with autism and a significant burden, financially, physically, and emotionally placed on those who love and care for that person. The fact the CDC is concealing a truth that vaccines do cause autism is allowing for the devastation of lives to continue and given some of the latest research showing upwards of 20 years less life expectancy for those with autism, the evidence is overwhelming that the CDC is torturing innocent people and killing them early! Its torture and manslaughter, worse than what those in Flint have done when they lied and harmed children and killed people by concealing the truth that the water was contaminated with lead. 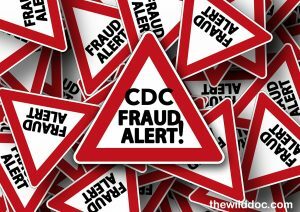 Given the fact that the CDC has committed fraud, while some may say there is no proof, I say when the CDC held their fraudulent study up as a pillar of evidence saying the case was closed, “vaccines don’t cause autism,” and the confession of a scientist who took part in that lie has confessed, the proof was there and is there that vaccines do cause autism. If one lies and their lie was “no” then the answer is obvious, VACCINES DO CAUSE AUTISM. Judging by the responses of this state senator, I think I can safely say we both believe the rampant epidemic of corruption, the fraudulent studies, and lies from the CDC are among the worst crimes that have ever been perpetrated against our most innocent children. I will do my best in the future to update you all on this discussion. Stand and fight with me until justice is served! Bare minimum, help me protect our innocent children against the hand of the corrupt and evil. Did Michigan officials hide the truth about lead in Flint?